Critics of the scene said it was a worrying throwback to the Celtic Tiger era and questioned why this was the reality for young families in modern Ireland. More than 100 cars parked overnight in the Cork town of Ballincollig as first-time buyers with young families competed to buy the 27 properties - all of which sold out within an hour. 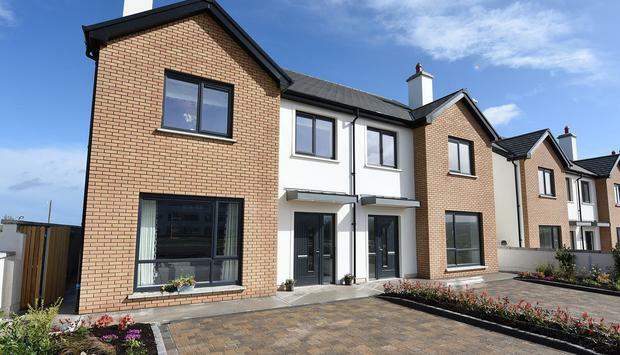 The buyers were desperate to secure properties at the new Heathfield estate in Ballincollig. The houses - priced at €325,000 for a three-bed and €375,000 for a four-bed semi - subsequently sold out within 60 minutes. Two previous phases of the Heathfield scheme also sold out. Ciara Kennedy, a Labour Party candidate in the area, said the scenes were astonishing - and were unacceptable. "It is like a 'Hunger Games' for housing," she said. Ms Kennedy said that while people were excited at being able to secure their first home, there was also a sense of outrage at the extreme lengths families had to go to just to get a deposit in place. "It is a throwback to the Celtic Tiger," she warned. Savills agent Catherine McAuliffe acknowledged she had never seen anything like it before in Co Cork. Ms McAuliffe, director of residential sales in Cork, said: "We didn't expect the turnout ourselves, certainly not people queuing overnight. "But it's about location - this is Ballincollig, on the edge of city, with access to the ring road around the city, so basically that's access to everywhere quickly. "All 27 properties sold out in an hour on Saturday. Demand is obviously driven potentially by the fact the Help-to-Buy Scheme is coming to an end. "We don't have many first-time buyer houses in Cork city, or close to the city, so I think this was really driven by demand. A lot of people are loan-approved and are just waiting for that type of product to come along, especially in that particular area." Ms McAuliffe said she felt the houses were a "good price", which was reflected in the high demand they generated. "You can certainly buy cheaper than that but I think it was the location that has really driven it. A lot of buyers are living locally. The buyers were young families, first-time buyers, probably 70pc were first-time buyers. "The next release of houses [in this development] will be in the summer this year but the houses selling now won't be ready until next year." Derry Canty, Fine Gael councillor for Ballincollig, said: "I saw the cars there myself. Buyers wouldn't be on the site [overnight] unless they were able to afford the properties, so it's fair enough. "Ballincollig is a growing town, we're near Cork city and there's good schools and amenities and great city access."